Ah summer in Europe! Crisp days and cool nights. Great wine, fresh berries & cream plus sunshine to warm the bones. And then there is the other summer tradition in Europe – STRIKE! 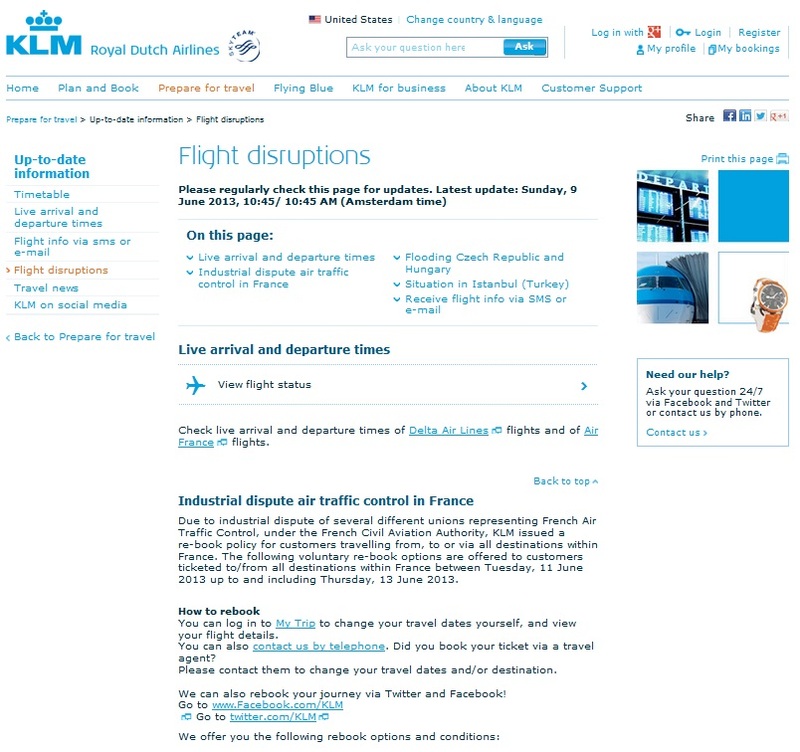 HERE is the link to the AF/KLM site talking about changes you can make for free. I have a flight to CPH connecting in CDG on June 20th. Do I need to be concern about delayed flight? Does the strike ever last longer than advertised? @sil – you should be fine but keep a close eye! Thanks. Last May, there was some sort of strike in Vienna and that was where I had to connect. Many flights were cancelled but I lucked out and mine was not. There sure are alot of strikes in Europe. I am on the verge of getting Gold Status. First time ever…I would have it but had to fly a couple other airlines due to work schedule and location. Fling the other airlines really made me appreciate our airline. Oh and the looks I got when some people noticed my Delta Points luggage tag on my backpack were priceless. Thanks for the tag….been on my bag for almost a year now! @tom – guarantee 4 life let me know if you ever need replacement. Oh joy. 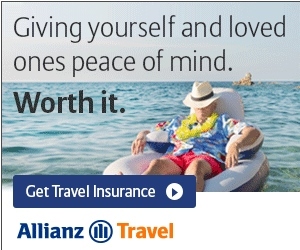 I’m flying with AZ on June 14 – same day as their FA strike. Wonder how  I am going to be. @JGfromOC – if landing in France, not good I would say! I’ll be going from LAX to FCO, but I hear AZ is going to be having a 24 hour FA strike the same day I am flying, so sounds like I might be in trouble. Interestingly, I am flying on a DL flight number (codeshare with AZ) and DL has not issued any travel advisory. And of course, AZ isn’t saying a thing. 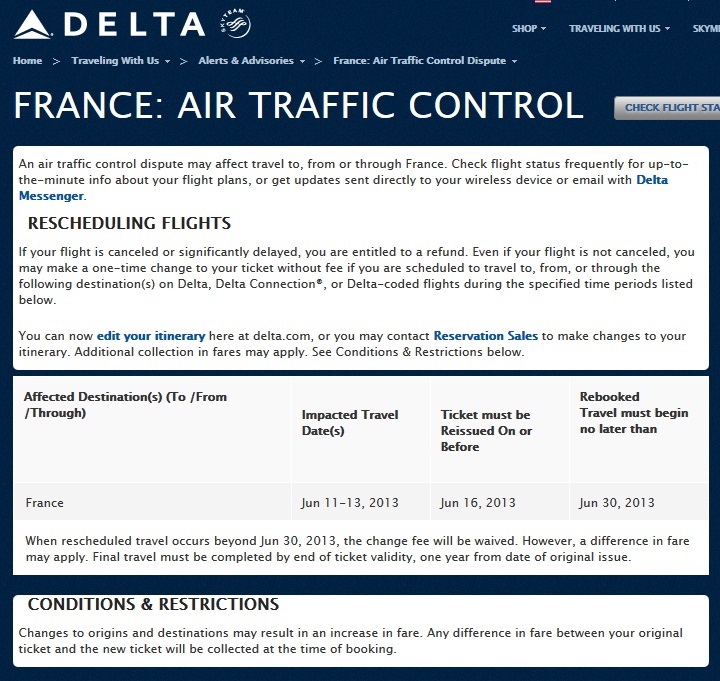 @JGfromOG – send a tweet to @DeltaAssist with links and see about free change. They are just TOPS that way. Already did. They aren’t showing any advisory at the moment so nothing they can do. Just going to have to ride this out. I have a separate AZ PNR for inter-Italy travel once I land in FCO as well, so this could get interesting quickly.